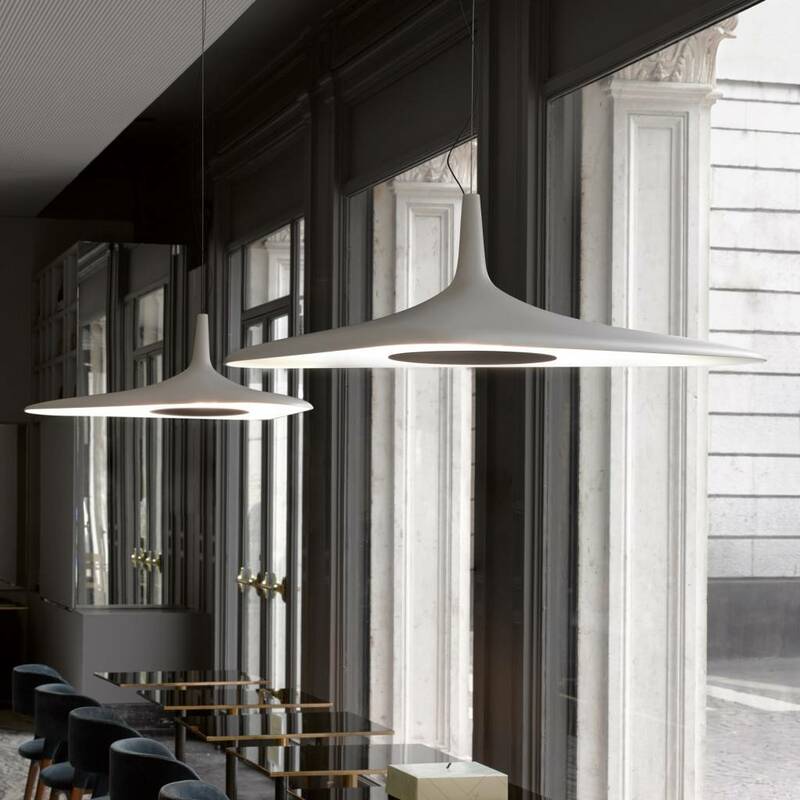 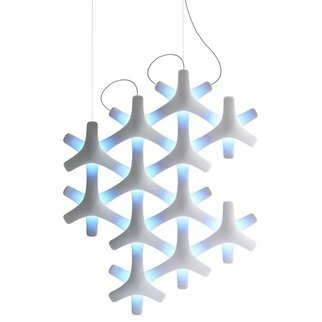 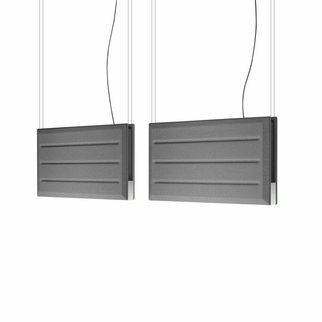 Supported by a single asymmetrical cable, it keeps its balance thanks to the thicknesses of the body, functioning as a slim, aerial lighting element that conveys brightness with discretion and elegance. 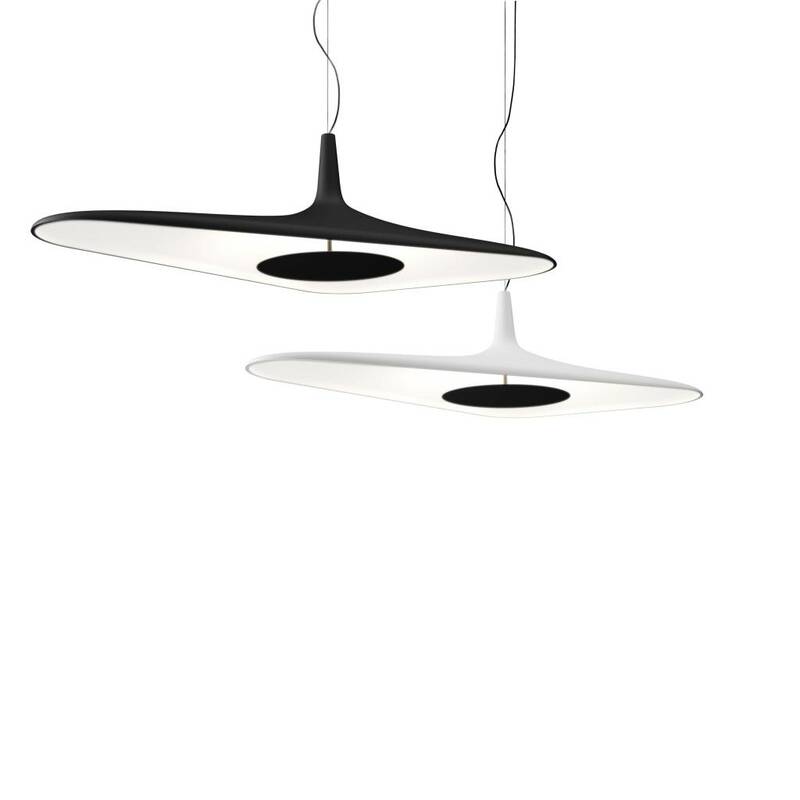 Technological and futuristic, Soleil Noir by Odile Decq is a suspension and ceiling lamp with an organic form in molded polyurethane foam, whose LED light source is hidden inside a disk that generates homogeneous diffused, indirect lighting. 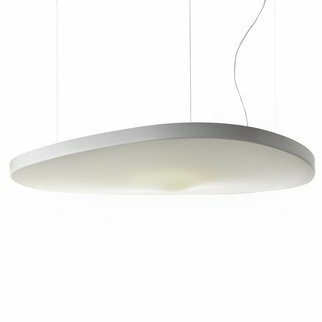 Supported by a single asymmetrical cable, it keeps its balance thanks to the thicknesses of the body, functioning as a slim, aerial lighting element that conveys brightness with discretion and elegance. 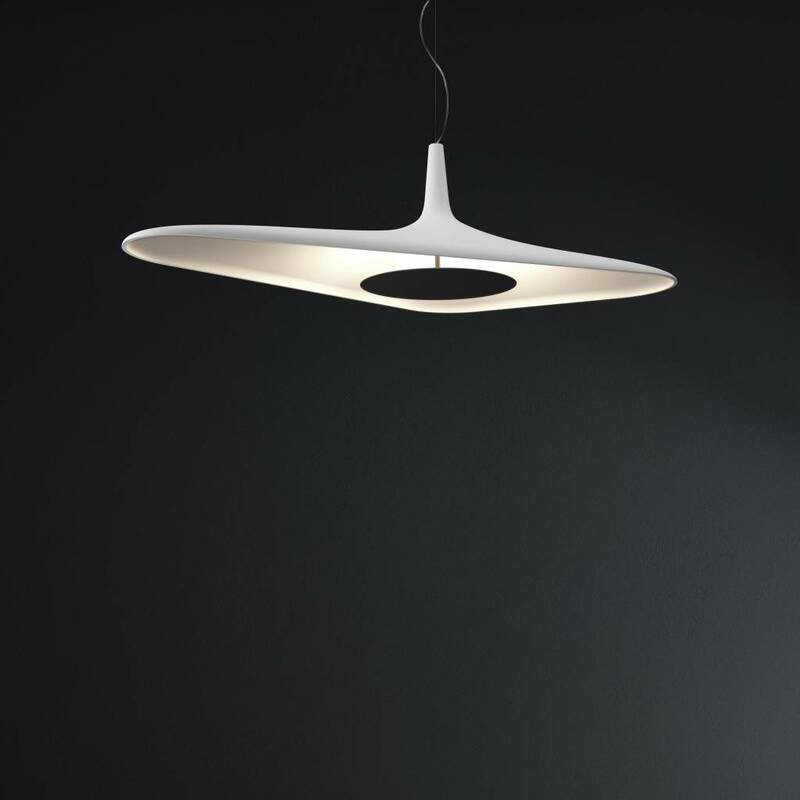 It is equipped with an avantgarde optical system to guarantee uniform light flow on the diffuser. 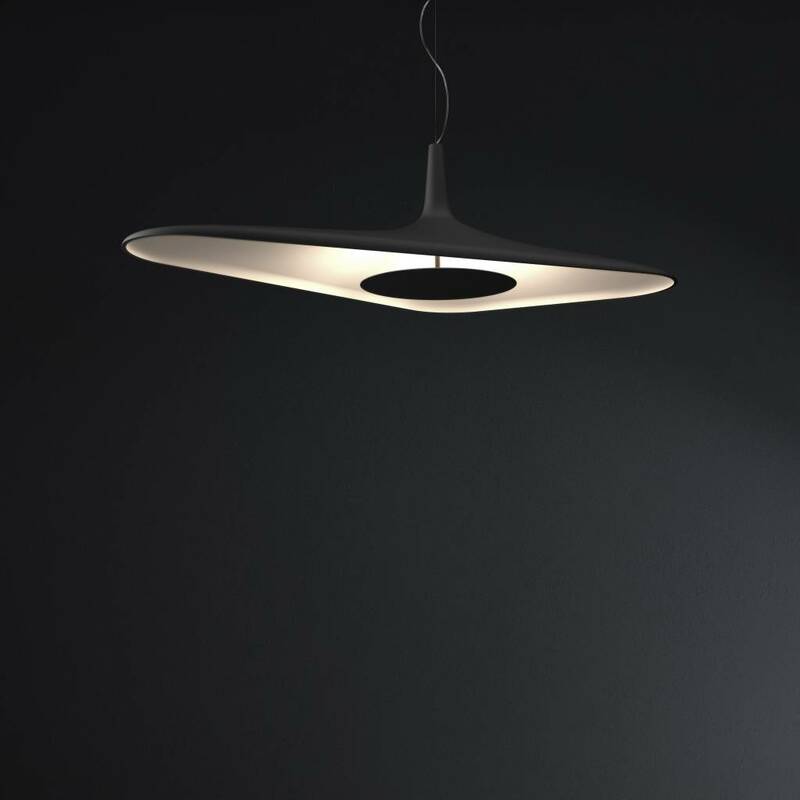 An object that defies the laws of physics, thanks to technology that permits a design bordering on the impossible.